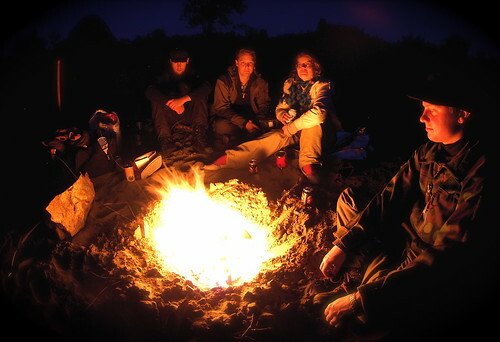 HTimo, Wili, Linda and Konsta enjoying the warmth of a campfire near the road to Kaamanen. The exposure was set to one minute so we had to sit still for a rather long time! August 2006.